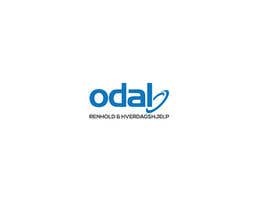 I need a logo for my new company. 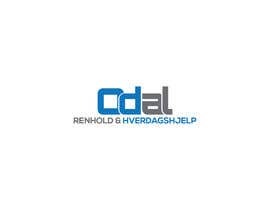 The company name is: Odal Renhold & Hverdagshjelp. Its a cleaning buisness and we help people with everyday things like shopping, driving to doctors, cleaning etc. I would like the colour blue in the logo. Its gonna be used on the website and car etc. All entrys that is not on a normal white background will be rejected. No effects just plain 2D! 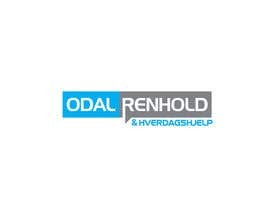 I HAVE CHANGED THE NAME, ITS MY MISTAKE SO SORRY: ODAL RENHOLD & HVERDAGSHJELP is the right one. Can you all please change it? I know, i want to see all the entrys before i rate correctly. I always do this, and reject those who do not know what they are doing and just want to make money fast. 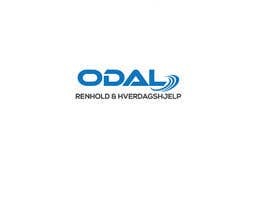 Just to give a hint: I need to see the name "ODAL" better. You dont have to write here to ask me to check, i look at all the entries. Remember White plain background! PEOPLE PLEASE send in your own exclusive design, dont make it just like others u see here. PLEASE! 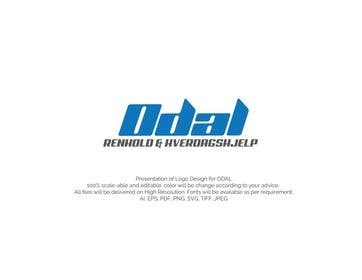 Logo on clean white background. I need a short and a long version.